So here he is! (Haven't you all be curious?) Henry's very own personal Elf, Aech (pronounced like you say the letter H)!! I really wanted to get Elf of the Shelf for Henry last year, but foolishly thought I would wait for it to go on sale. You know what never EVER goes on sale? 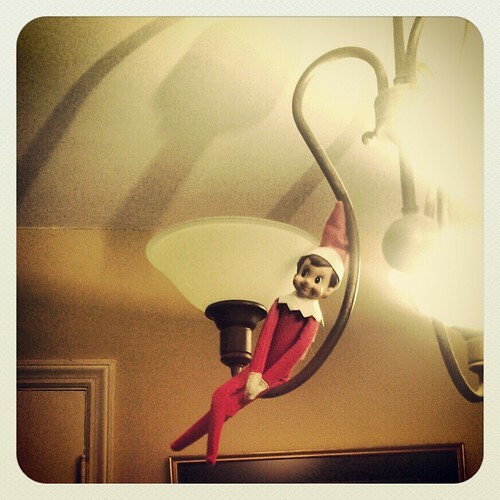 An Elf on the Shelf. Wait, you all know what an Elf on the Shelf is, right? He is a little elf that comes with his own story book explaining that he is really alive, and on a mission from Santa to keep an eye on you during the Christmas season. He shows up after Thanksgiving and every night after you are asleep he uses his elf magic to fly to Santa to report on if you are naughty or nice. Every morning he finds a new place to sit, so Henry gets the joy of finding where he is hiding as soon as he wakes up. Part of giving you Elf his magic if giving him a name. And Henry was very sure of his elf's name. It's H. Which... is a nickname we use for Henry a lot. 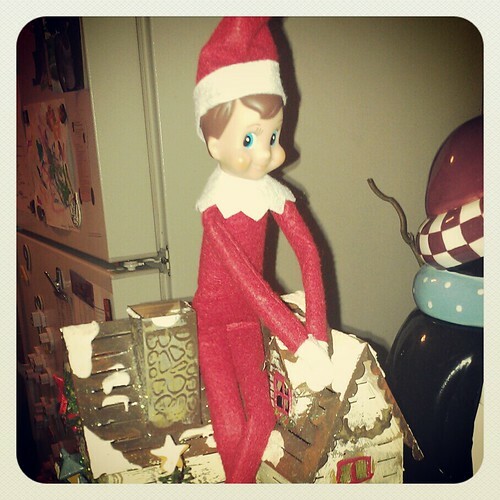 So he sorta named his elf Henry. We tried to talk him into something different, but the kid would not budge. This elf is named H. End of discussion. Since I am a total nerd I decided we would spell H like Aech from Ready Player One.I find that it makes him much cooler. All the other elfs at the north pole will be jealous. Henry liked the idea of Aech pretty much right away. Although he didn't get it exactly. "Cool, and early present from Santa, bummer I can't touch him. Is he a toy? Is he my friend?" The first morning Aech had moved from the mantel to the top of the little Christmas house Henry was interested. "He Moved? How did he get there??" I reminded him how Aech goes to the north pole. He seemed to be thinking it over. The next morning Aech made a big move. According to Henry, a HILARIOUS move. "Aech, YOU ARE ON THE LIGHT!!! How'd you DO THAT??" This morning when he woke up the first thing he said was "Where's Aech??" He found him in the manger, which was apparently also hilarious. I already love this new tradition. I can't wait to see what Aech gets into over the next few weeks, and how much joy that will give my sweet boy. Christmas is going to be so awesome this year. **I know I don't do a lot of instagram, but for some reason it just feels right for pictures of Aech. Expect to see more. 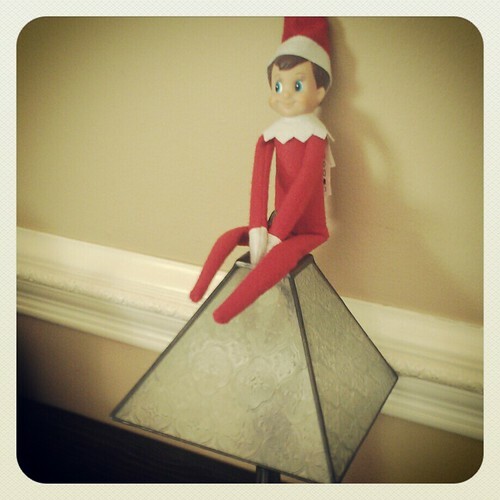 **If you have any great ideas for fun things for your elf to do, please let me know! I am running out of easy spots and need to start with all the cute, funny things you people seem to be coming up with all the time! I plan to use you for your ideas.